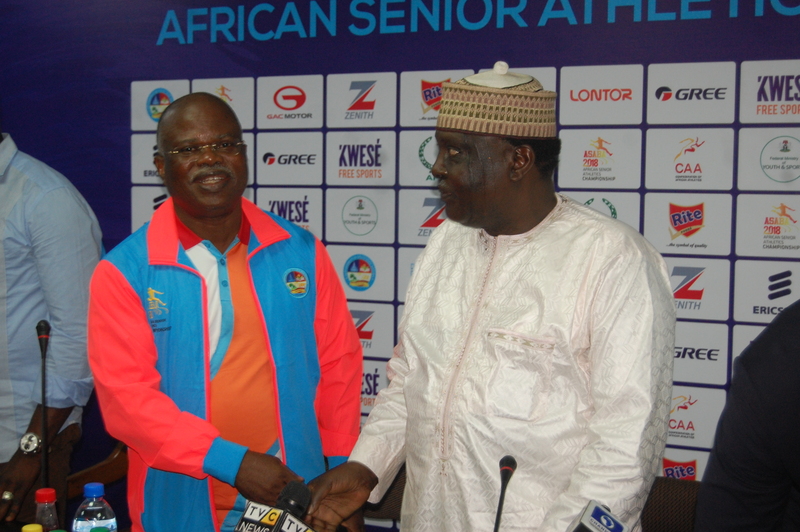 The President of Confederation of African Athletics (CAA) Malboum Kalkaba on Thursday commended the Delta State Government and the Solomon Ogba-led Local Organizing Committee (LOC) for a job well done saying the good memories of Asaba 2018 will stay with all for a long time to come. “I am delighted that most of the teams had a safe journey back home. For those still in transit, I pray they arrive safely. “Asaba 2018 was a great championship, we know the memories of great championships leave long and the good memories of Asaba 2018 will leave for long with us. Kalkaba also thanked the Delta State Governor Ifeanyi Okowa who he described as a good host. In another message to the LOC, the Technical Director of CAA, Vivian Gungaram also commended the Asaba 2018 Technical Director Yusuf Alli for a job well done. Gungaram in his letter to the LOC and copied to Alli, he wrote: “Nigeria is lucky to have you, a technical director who knows his job and is passionate about it. The championship is over but we cannot forget Yusuf Alli who makes things happened. “It was a great pleasure for me to work together with you. I have noticed that you have no problems with problems. “You clear all obstacles and I like that. For both of us, obstacles are not barriers, you are a workaholic and great asset to athletics in Africa” wrote Gungaram. Kenya emerged as the overall champions at Asaba 2018 while South Africa settled for second place and hosts, Nigeria finished third.